Fund managers and investors plan to increase their involvement in emerging markets over the next five years. 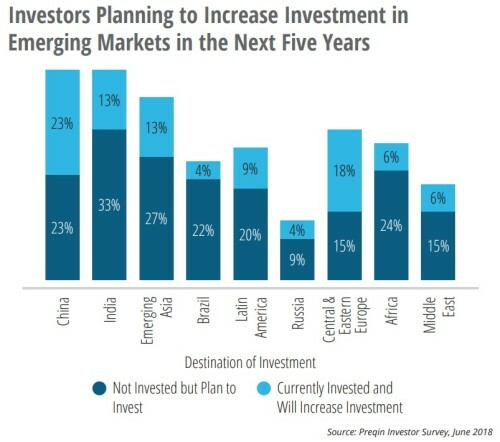 Almost half (46%) of investors plan to increase their allocations in China and India while 30% will do so in Africa. Fund managers will increase allocations in emerging Asia, China, India, and Africa; with 46% agreeing that these markets will offer the best opportunities in 2023, although just 23% believe that is the currently the case. The industry report by Preqin shows that the increased interest by fund managers follows the lead of investors in increasing their EM allocations.